Do you want to learn more about the importance of general dentistry? 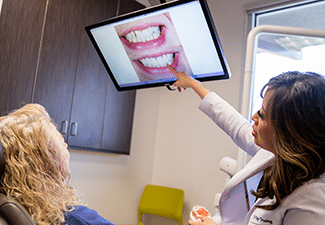 In today’s blog, your Dallas dentist, Dr. Diep Truong, provides a fun and informative quiz to illustrate the benefits of our general dental procedures. 2. True or False: Dental cleanings help prevent gum disease. 3. True or False: Dr. Truong provides natural looking dental fillings. 4. True or False: Your Dallas TX general dentist preserves smiles with root canal therapy. 1. True. According to the American Dental Association, adults and children over the age of three should undergo a routine checkup once every six months. During a checkup, Dr. Truong will watch for any signs of developing dental issues, such as tooth decay or gum disease. Checkups also provide an opportunity for Dr. Truong to perform crucial oral cancer screenings. 2. True. During a cleaning, a dental hygienist will remove the layers of plaque from your teeth. This brightens your smile and helps your breath stay fresh. Removing plaque also helps prevent gum disease. Plaque irritates the gums, causing inflammation, or gingivitis. Over time, gingivitis can lead to the onset of gum disease, threatening the stability and health of your smile. 3. True. Unlike metal fillings, composite fillings contain no trace amounts of mercury. Furthermore, composite fillings can be shaded to blend seamlessly with your smile. 4. True. When a tooth becomes infected or abscessed, the tooth can die, requiring removal. Root canal therapy allows Dr. Truong to remove infected tissue and cap the tooth with a custom-made and natural looking crown. How well did you do? Interested in scheduling a checkup and cleaning? Then talk to your Dallas TX general dentist today. Contact Dr. Truong, today by calling our Richardson office at 972-437-6000. Patients can also make an appointment with our West Dallas dentist office, near Cockrell Hill, Irving, and Grand Prairie at (214) 337-7800. At Viva Dental Family Dentistry, we offer our patients the latest in general, cosmetic, and restorative dentistry. We are proud to serve patients in the 75211 and 75080 zip codes, and surrounding neighborhoods.